Six months have passed since Gov. Paul LePage’s administration said it would propose legislation to have the state’s public schools take over special education for 3- to 5-year-olds. Yet as the Legislature enters the final weeks of an abbreviated session, the legislation from the executive branch has yet to arrive on lawmakers’ desks. Meanwhile, six school districts have started working to take over the special services from the state’s Child Development Services, or CDS, system before any mandate comes down from the Legislature. They’re making the transition with the help of two grants, together worth more than $1 million, that the Maine Department of Education awarded in January as part of the LePage administration’s push to have more school districts collaborate and deliver services regionally. 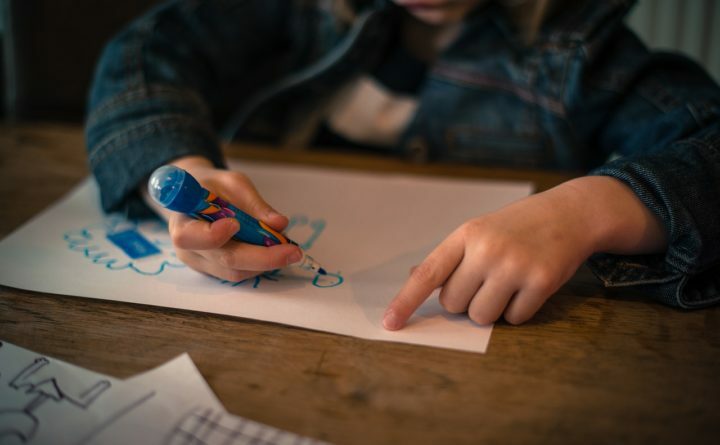 Maine is the only state where school districts aren’t responsible for providing special education services to preschool-age children with disabilities and developmental delays, according to the state Department of Education. The department recently submitted its proposal to have the state’s 240 school districts take on that responsibility to the Legislature’s Office of the Revisor of Statutes, which is responsible for drafting legislation, Rachel Paling, a department spokeswoman, said Wednesday. “It’s the cart before the horse” to have the state fund grants for individual districts to take over CDS’ responsibilities before releasing legislation to authorize the change statewide, said Carrie Woodcock, executive director of the Maine Parent Federation, which helps parents navigate special education services and advocate for their children. But there’s an upside to the approach, said Woodcock, who served on a committee last fall that made recommendations for the reorganization legislation. CDS has posted budget shortfalls for much of the past decade, after lawmakers and the Baldacci administration cut the program’s budget by a third in 2005 and later attempted to reorganize it. The insufficient funding and a continual state of political flux have caused children to go without services to which they’re entitled under federal law, forced other children to wait longer for services than they legally should have to, and caused Maine’s performance to fall behind that of other states in helping young children with disabilities at a time in their lives when those services can make the biggest difference and reduce the need for costly special education later on. The Department of Education grants will help four school districts in the Lewiston area and two in the Biddeford area plan out how they’ll start delivering services such as speech, physical and occupational therapy to preschool-age students and to transport children where they need to go to receive those services. The four Lewiston-area districts will work with the University of Maine’s Center for Community Inclusion and Disability Studies to determine how they should go about providing special services when they become the public schools’ responsibility. The four districts are the Lewiston and Auburn school departments, Poland-based Regional School Unit 16 and Turner-based School Administrative District 52. The $750,000, 28-month grant from the state will pay for data collection so the districts know how many children in their towns receive services from CDS and help the districts prepare to take over the responsibility from CDS to screen children and determine whether they’re eligible for special services. The grant will also pay for research into how best to provide those services in public schools, along with two pilot sites where the districts could start delivering services. Lewiston School Department has noticed CDS’ shortcomings, Webster said, as students with disabilities entering kindergarten haven’t received as many services as they require. Others haven’t been screened and identified as needing special education services, he said. CDS cost nearly $39 million to run in the fiscal year 2017, about $3 million more than budgeted for the program, according to the Department of Education. In the Biddeford area, a $513,000 grant will pay for the Biddeford and Dayton school departments to explore how they could provide transportation to CDS students more efficiently, and ultimately start providing the transportation and special services. The York County CDS office, located in Arundel, is a partner in the grant. “If this idea is going to move forward, we want to prepare ourselves for that,” said Jeremy Ray, superintendent for Biddeford and Dayton schools.